This year we are introducing Activity Panels. 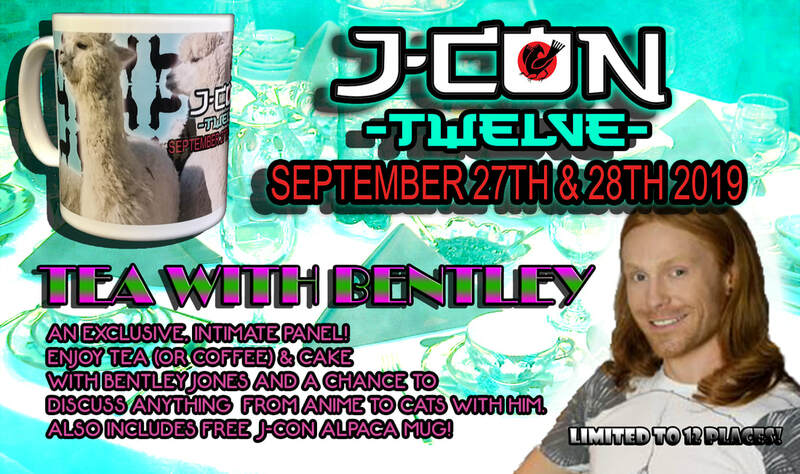 These panels give you the chance to have some quality time with your favorite J-Con guests. One such panel is the Tea With Bentley panel. Chat to Bentley over tea/coffee and cake on Saturday at Lunchtime. We've had to charge for this panel in order to keep the places limited (12 people only!) in order to preserve the intimacy of it. Simply click the picture above to buy your ticket and select the panel from the drop down menu on the ticket page!